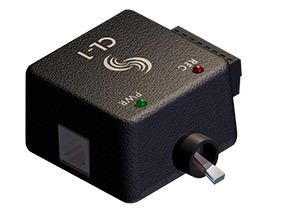 The CL-1 Interface is a flexible accessory used to interface external keyboards to Sound Devices 7-series audio recorders (702, 702T, 722, 744T and 788T / 788T-SSD). By connecting a standard PS-2 keyboard to the CL-1 all button and menu functions on the recorder can be keyboard-controlled. One obvious benefit is the ability to type scene and take names directly on the keyboard for maximum speed and convenience.